Why does the bank ask people to provide their details? To develop and improve our services we mostly focus on providing you with convenience and security. At the same time, just like all banks, we must comply with legal requirements and follow the principle Know Your Customer (KYC) in our operations. We ask questions about contact details, nationality, place of residence, area of activity, etc. Based on the aforementioned principle, the bank has to know who/what the client is and what its ordinary activity is as well as who/what the beneficiary is. We also have to make sure that transactions carried out by the clients meet the type and scope of their economic activity. Such actions is also one of the ways to protect the clients themselves and the society from such threats as identity thefts and prevent any possible financial fraud, money laundering and financing of terrorism. Besides, actual information can help the bank ensure the security of your accounts by hindering any potential illegal actions of fraudsters. Knowing the client we can identify a suspicious movement of money in accounts more easily, for instance, when fraudsters get access to the client’s account with the purpose to make fast money transfers or withdraw them. What the bank might ask you? Customer Questionnaire for legal Entities – a questionnaire for legal persons which is filled in when opening a bank account and updating information. This is obligatory pursuant to laws. Banks collect clients’ details not on their own initiative but because they are obliged so by legal requirements. These requirements apply to all banks. It is an ordinary procedure. A request to provide details is not related to any suspicions. It is an ordinary procedure which applies to all customers of the bank. Information you will provide will be stored carefully. All information you provide is confidential and stored carefully as established in legislation. Should you have any questions, do not hesitate to contact us. Call us: 1884 (for private clients) and 1633 (for business clients) or come to any Swedbank’s office. How to provide the required details for private customer? You can fill in the Customer Questionnaire for Natural Persons or bring the already completed form to any office of the bank. You should have a passport or your identity card with you. How to provide information for corporate clients? You can fill in the Customer Questionnaire for legal Entities or bring the already completed form to any office of the bank. You should have your passport or your identity card with you. 1. Why do banks ask their clients to provide information about them? Relationship between a bank and its clients are based on mutual trust. We care about our customers’ trust; we, therefore, periodically publicly announce our financial results and other performance reports. We accordingly ask our clients to provide certain information about them. The provision of information is important for several reasons. First, banks must comply with very strict legal requirements which oblige them to implement the principle Know Your Customer (KYC). The implementation of this principle is related to international measures aimed at money laundering and terrorism prevention. Recently different security threats have become more frequent worldwide; there have been cases when movements which pose such threats were funded using banking systems. Banks must ensure that their infrastructure is not used by the evil-minded and persons which pose threat to other people. If banks fail to comply with these requirements, they might face official sanctions, and foreign finance institutions can discontinue cooperation with such banks. Another important reason is that banks care about their clients’ security and security of their clients’ accounts. With actual details available we can ensure security of accounts more easily, prevent illegal actions by fraudsters, stop suspicious transactions and in this way protect our customers from financial losses. We can protect our customers’ interests best and ensure their security only when we know our clients. 2. If I am asked to fill in a Customer Questionnaire for Natural Persons, does that mean that I am suspected of something? Banks collect details about their customers not on their own initiative but because they are obliged to do so by laws. A request to provide details does not mean that you are suspected of something. It is an ordinary procedure; requirements apply to all clients. It could be compared to the security check at airports – every passenger is checked before a flight and everybody understands that this procedure is necessary for the sake of general security. 3. Do these requirements apply to all banks? Yes, the Lithuanian and international legal acts impose an obligation on banks in all countries to apply the principle Know Your Customer. 4. What institutions are authorised to receive the details I provide? Information is not collected with the purpose to immediately forward it to other institutions. Information you provide is stored responsibly. In certain cases, when this is necessary, authorised institutions (law enforcement, security provision, etc.) are entitled to address banks and request for the provision of information about a client. In such case, the bank, in accordance with laws, will be obliged to provide such information. Information you provide will not be used for marketing purposes or transferred to other companies with commercial intentions either. 5. What might happen, if I refuse to submit the Customer Questionnaire for Natural Persons? If the bank is not provided with the necessary information, in certain cases, the bank will no longer be able to provide its services to such clients. This might mean restrictions to use one’s account, card, online banking. Money in your account will not disappear, however, you will be able to use banking services only after you provide the required information. 6. Why do I have to indicate my relatives who occupy top management positions? Banks are obliged to collect such information by legislation. Lists of persons or their family members participating in politics or occupying top management positions are regulated by law. Such persons, due to their job, are subject to tighter requirements. Officials occupying top management positions definitely. 7. What languages can be used to fill in the questionnaire? 1. What is money laundering and funding of terrorism? Money laundering entails acts which are aimed at legitimisation of illegally obtained money or other property or to conceal its true source. These acts are most often performed by drug dealers, organised criminals, terrorists, and cyber criminals, persons involved in tax embezzlement, smugglers, corrupted officials and related or other persons. Funding of terrorism means any form of financial support to terrorist activities or persons who encourage, plan or conduct terrorist activity. Funding of terrorism is different from money laundering in that the funds may be received not only in a criminal manner but their origin may be even legal, for instance, a person’s wage. Prevention of money laundering and funding of terrorism means the implementation of corresponding measures so as to prevent money laundering and funding of terrorism. understand the source (origin) of monetary funds. The bank must also ensure that the latest and accurate information is referred to when performing risk assessment of money laundering and/or funding of terrorism; for this reason, it must continuously review and update details about the identity of the client and the beneficiary as well as about the areas of their activities. When establishing business relationship with the bank, the client must complete a declaration of a natural person or a legal person’s declaration accordingly. In the course of business relationship, we periodically ask our clients to update available information so as to ensure its relevance. During all business relationships, the bank conducts continuous monitoring of the client’s business relationship, including the analysis of transactions which were concluded during such relationships so as to make sure that transactions meet the knowledge a credit institution has about the client and its business (the type, business partners, territory of business, etc.) and the nature of risk. In case of any suspicions about transactions carried out by the client, bank employees may address the client so as to find out the purpose of a transaction and the origin of money. In some cases we ask to provide documents to substantiate the source of money or the legitimacy of a transaction carried out (contracts, invoices, or documents supporting payments). The bank undertakes to keep information provided by the client and details related to their bilateral relationship just like any other information comprising a banking secret. *Republic of Lithuania Law on Prevention of Money Laundering and Funding of Terrorism establishing the preventive measures and the time they should be taken by banks and other entities so as to prevent money laundering and funding of terrorism and in certain cases obliging banks to identify the client, as well as all related secondary legislation, including guidelines approved in Resolution No. 03-17 of the Board of the Bank of Lithuania of 12-02-2015 (Guidelines to the Participants of the Finance Market Aimed at Preventing Money Laundering and/or Funding of Terrorism). We ask our clients to provide information about the fact that they or their family members (spouse, co-habiting partner, parents, siblings, children and children’s spouses, children’s co-habiting partners), immediate helpers (persons with whom a person has common business, keeps professional or business relationship) presently occupy or in the recent 12 months have held an important public position in any state and/or international institution since the bank has to conduct enhanced monitoring of business relationship / monetary transactions of such clients. Law on Tax Administration of the Republic of Lithuania, Resolution No. 1017 of the Government of the Republic of Lithuania and other secondary legal acts. As of 01-07-2014, the FATCA requirements are applied in Lithuania. Pursuant to these requirements, all banks operating in Lithuania must identify potential US tax payers and forward this information to the STI. The STI, in turn, shall transfer this information to the US Internal Revenue Service (IRS). Persons who meet other characteristics specified in the FATCA. What are you expected to do, if you are a US tax payer? Please fill in the Customer Questionnaire for Natural Persons online (in internet bank) and indicate the US Tax Payer’s Number (TIN) allotted by the IRS. In what cases information shall be provided by companies? If at least one beneficial owner of the company (a person who owns or who in any other way controls no less than 25% of the company’s capital) is a US tax payer or citizen, the company must provide information about his/her place of residence and nationality by completing the Customer Questionnaire for legal Entities online (internet bank). The Common Reporting Standard (CRS) regulates the exchange of tax information between the countries pursuing the CRS (their list can be found here). Since 2017, banks operating in Lithuania are obliged to provide the STI with information about natural and legal persons that are potential tax payers of the CRS countries. The STI forwards this information to the tax authorities of corresponding countries. What are you expected to do, if you are a tax payer in a CRS country? Please fill in the Customer Questionnaire for Natural Persons in Swedbank’s internet bank. When completing the form, please indicate the country of tax payment, the tax payer’s identification number allotted in such country and any other required information. If a company is a resident of another country for the purpose of taxes, please fill in the Customer Questionnaire for legal Entities in Swedbank’s internet bank and indicate the country of tax payment, the tax payer’s code and other required information. International sanctions are restricting measures of non-military effect which are aimed at preventing illegal activity (terrorism, drug trade) or policy and ensuring international peace, security and respect towards human rights. 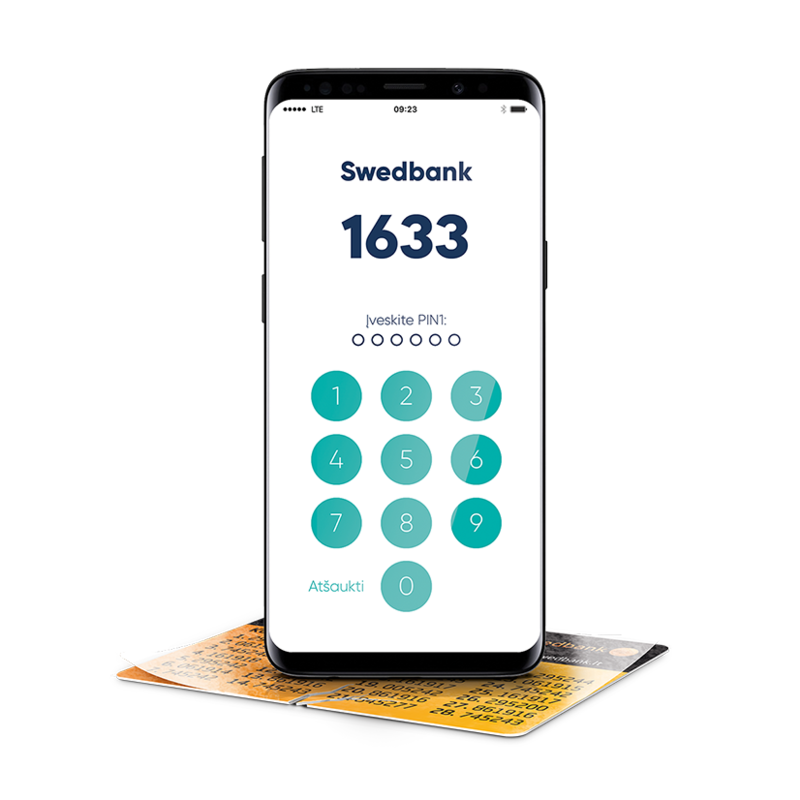 To implement international sanctions and to pay regard to its customers’ interests and to protect their funds, Swedbank, AB as a bank of the Swedbank Group follows the sanctions announced by the European Union (EU) and the US Office of Foreign Assets Control (OFAC) and other sanctions. Sanctions to specified entities apply to the extent established by organisations which impose sanctions. Sanctions executed by the bank are twofold: they can be used as a way to prohibit any relations (commercial, financial) with an entity subject to sanctions or they can be used to restrict certain transactions (e.g., export of certain goods), sanctions can also be imposed solely on certain regions, etc. You can find more information about persons that are subject to the EU financial sanctions here. When entities are included in the list of Specially Designated Nationals (SDN)* administered by the US OFAC or entities are not included in this list but are related to SDN by any other relations, i.e. that are owned by the proprietary right or that are controlled by persons included in the OFAC SDN sanction lists. You can find the US OFAC SDN list here. * List of Specially Designated Nationals (SDN) is a list of citizens of special categories that is announced by the OFAC. Funds of entities that are included in this list are frozen and any transactions with such entities are prohibited. When using territorial (e.g. activity of certain regions / territories is sanctioned) and sectoral sanctions (e.g. certain areas of economic activity are sanctioned (import / export of certain goods and services, prohibition to trade in financial instruments issued by certain entities), the bank can suspend a client’s payment order so as to find out, whether a certain payment order is not related to regions, groups of goods, etc. subject to sanctions. In such cases the execution of payment order can take longer because the bank might ask the client for more details about the circumstances of the payment order and perform certain internal check actions. Attention should be drawn to the fact that the aforementioned sanctions are also implemented by correspondent banks, for this reason, the execution of payment orders might take longer also because of restrictive measures applied by correspondent banks. To ensure smoother execution of international payment orders, the bank recommends that clients provide explicit purpose of settlement in English in the field of payment order details (for what goods and/or services the payment is made without limiting information to the indication of an agreement only). Taking into consideration the requirements of the correspondent banks, the bank advices its clients to provide full address of the beneficiary in payment orders to Russia and Ukraine, and full payer’s address ¬ in payment orders from Russia and Ukraine. Full address in the aforementioned cases means the name of the street, city and country. If full address is not provided as required or the bank has grounds to believe that incorrect address was provided or address was deliberately changed, the bank can refuse to continue payment order. This decision is made with the purpose to protect the interests of the bank’s customers with regard to international sanctions used. Implementation of international sanctions in Lithuania is coordinated by the Ministry of Foreign Affairs of the Republic of Lithuania. For more details click here. If a client fails to provide, avoids providing the details requested by the bank or the provided information is not comprehensive enough, the bank might refuse to perform or might suspend executing the client’s transactions because otherwise it would violate the requirements laid down in the aforementioned legal acts. Besides, in case the bank does not receive the required information from the client, it can terminate business relationship with such a client. If the bank has grounds to believe that suspicious transactions are carried out, it must report to the Financial Crimes Investigation Service under the Ministry of the Interior of the Republic of Lithuania. In case the bank fails to comply with the provisions of legislation regulating the prevention of money laundering and funding of terrorism, the aforementioned Financial Crimes Investigation Service and the Bank of Lithuania are entitled to impose sanctions, and foreign states can recommend to its credit institutions that they terminate their relationship with such bank. We note that Swedbank, AB follows strict ethical and moral standards in its activities and works solely with those clients whose funds and assets are reasoned, and their legitimacy raises no doubts and whose bank accounts feature monetary transactions the origin of funds of which is not related to criminal (illegal) activity or such transactions are not aimed at concealing the source of the funds concerned. The bank also pursues the prevention of unintentional and indirect criminal activity. Seeking to prevent money laundering and the funding of terrorism, the Bank of Lithuania and the Financial Crimes Investigation Service under the Ministry of the Interior of the Republic of Lithuania control banks’ activities and their clients’ business relationships. The compliance of the bank’s preventive procedures with the legislation of the Republic of Lithuania is supervised and verified by the Bank of Lithuania Financial Crimes Investigation Service under the Ministry of the Interior of the Republic of Lithuania, and independent auditors.